Four bravehearts from Maharashtra became the first Indians to summit Mt Everest this climbing season while another 80 Indian climbers are waiting on the lower slopes for their turn. Four members of the Sagarmatha Giryarohan Expedition from Maharashtra summited the world’s highest peak, once virtually barred to private groups due to lack of funding, at 6.45 a.m. Saturday, said the team’s guide and Everest hero from Hyderabad, Shekhar Babu Bacchinepally. “This expedition is dedicated to Ramesh Gulave,” said Shekhar, whose ascent in 2007 as an individual climber unsupported by any organisations inspired dozens of Indian Everest aspirants subsequently. Gulave developed breathing troubles and other health complications last month after the expedition had flagged off and had to be airlifted to Kathmandu and flown to India for medical treatment. He died on April 27. 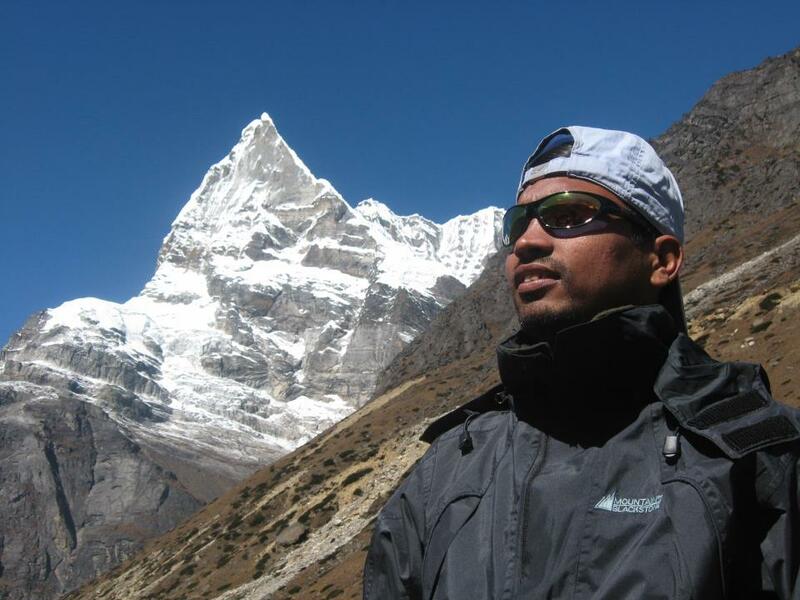 Shrihari Tapkir, a 28-year-old avid trekker and climber from Wadmukhwadi village in Pune, was one of the four summiters. Tapkir is also one of the founders of the Sagarmatha Girayarohan Sanstha at Bhosari, which is now one of the leading adventure clubs in Pune. Accompanying the ordnance factory employee on the 8,848 m peak were Sagar Palkar, 27, from Chinchwad, Balaji Mane, 34, from latur district, and Anand Bansode, 27, from Solapur. Bansode also set a new Guinness World Record for playing music on the highest altitude with a concert at camp II of Mt Everest on May 6, at a height of 6,300 meters. “It was a financial challenge,” said Shekhar. “Most of the climbers took personal loans while the rest of the money came from individual donors and a few groups. “Most corporates shied away from offering sponsorship, thinking it would cost them Rs.3-4 million per climber. Shekhar himself had been a shoe-string Everest conqueror who owned his boots to the Indian Army expedition at that time as well as weather forecast reports. If the weather holds, the Pune boys will make another go later this week. Also waiting in the lower camps are three institutional Indian teams: from the army, Indo-Tibetan Border Police (ITBP) and Nehru Mountaineering Institute, Darjeeling. While 62 Indian climbers are following the route from the south through Nepal, there are nearly 20 more Indian climbers pushing ahead from the Tibet side. The Pune boys shared their feat with another record creator Saturday. Tamae Watanabe from Japan became the oldest woman to tame the mountain. The 73-year-old, who reached the top as leader of the Asian Trekking International Everest Expedition 2012, along with Noriyuki Muraguchi, also from Japan, recreated her own record. Ten years ago, she had strode to the top to become the then oldest woman to stand there at 63. India lost an opportunity for another record earlier this month with Delhi teenager Arjun Vajpai being forced to abandon his twin goal in China after developing breathing problems. The 18-year-old, who holds the record for being the youngest Indian to summit Mt Everest, is now trying to become the first Indian to tame all 14 “Death Zone” peaks in the world towering above 8,000 meters. He has summited Mt lhotse and Mt Manaslu besides Mt Everest but his attempts on Mt Shishapangma and Mt Cho Oyu, the 14th and sixth highest peaks in the world respectively, had to be called off. The teen took it stoically. 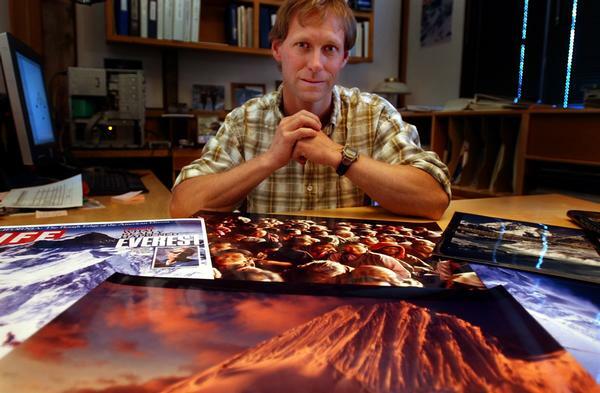 Back then, Beidleman was working as a guide under his close friend and seasoned mountaineer Scott Fischer. Fischer died on that mountain and was buried there. Beidleman said he never truly understood what happened and that the tragedy nagged at him. Fingers were pointed in numerous directions and many were blamed for what happened that day but there were only words of praise for Beidleman, who went up as a mountaineer and came down a hero. Beidleman himself doesn’t see it that way. For years, Beidleman was in high demand to speak about the lessons he had learned on Everest, about team building, about taking risks and living with the consequences, and about how disasters are rarely caused by one single action or one single person but often a cascading series of bad luck and bad choices. He also talked about second chances.On Everest, even the smallest of details matter. Every footstep holds the possibility of disaster. It’s the kind of place where really catastrophic things can happen and you can’t see them coming.Part of the problem is the air. At altitudes like this — the Everest peak in 29,028 feet — the oxygen is so thin the brain gets foggy and judgments cloud.